Ford’s Lincoln luxury brand seems to be taking a play out of Tesla Motors‘ book, having just opened a 5,200-square-foot “Lincoln Experience Center” in Newport Beach, California where potential buyers can get better acquainted with the marque. The new Lincoln Experience Center is located at an upscale shopping center, and it’s intended to serve as a personal, casual hub for those new to the brand. There, potential customers can learn more about the Lincoln brand, explore the marque’s current cars and SUVs in person, chat with customer service representatives, customize their ideal vehicle, and more. Visitors can even arrange to test-drive a current model – around the block, or for an entire weekend. From the sound of it, the new facility doesn’t seem too far off from one of Tesla Motors’ showrooms; guests interested in purchasing a Lincoln vehicle after their visit can be directed to the most convenient authorized dealer. 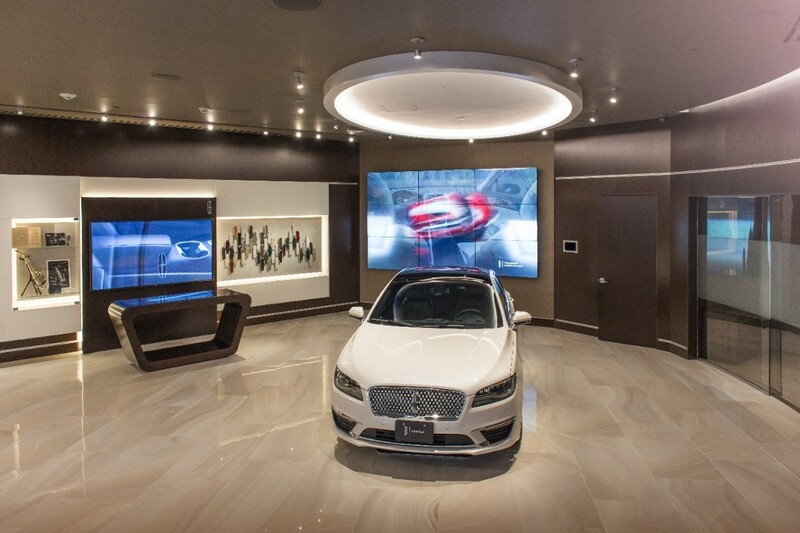 If the Experience Center performs as Ford’s luxury brand hopes it will, more might spring up around the country. The new Experience Center is part of what the brand refers to as “The Lincoln Way,” which is a multi-part initiative to improve the customer experience by providing personalized customer care and services. The Black Label experience is part of this initiative, as is the decision to include trouble-free pickup and delivery for vehicle servicing, which launches with the 2017 Continental. The luxury brand is even working on its own version of the FordPass app, aimed more directly at luxury vehicle buyers.